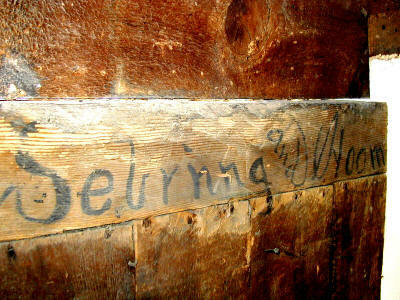 On the wall behind the chimney, we found the names of Sebring & Hogmire. Horace Sebring and Mitchell Hogmire built the elevator in 1873. 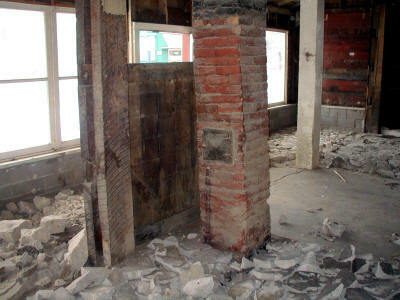 The wall behind the chimney is where these names were found. 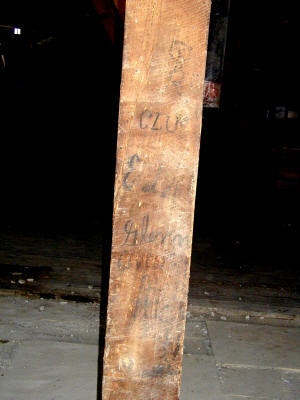 The beam was cut off and with it the last three letters of "Hogmire." It's still a treasure. 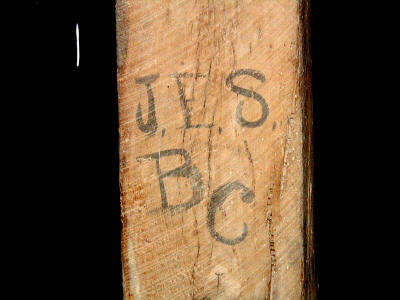 We think this is John E. Sebring's initials. His father, Horace, built the elevator. We don't know who B.C. is. This is on a support beam on the first floor. Fred Overton's name is on this wall in the rear of the building. Fred was an owner in the late 1800's. Also, a date of Dec. 22, and the year can't be read, yet. 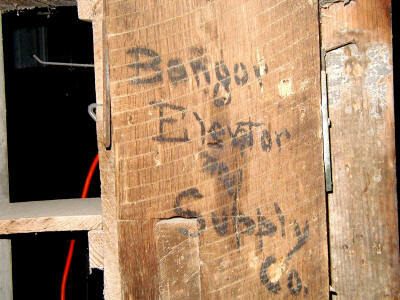 When the Church brothers were owners, it was called Bangor Elevator and Supply Co. This is on a support beam on the first floor. 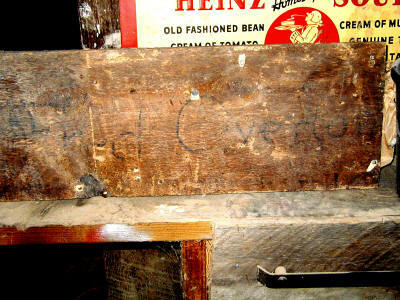 Fred Overton's name was found on a board covering the stairwell. 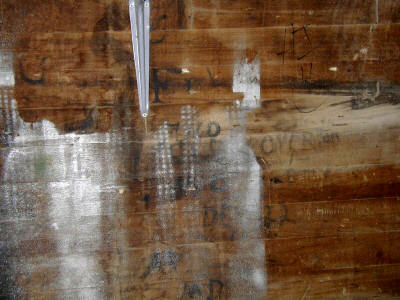 This is also on a support beam on the first floor. CLU and Ed something are at the top. Glenn Overton, Bangor, Mich. and July '94 are on the bottom. That's 1894. We found this sign covering a hole in the wall. 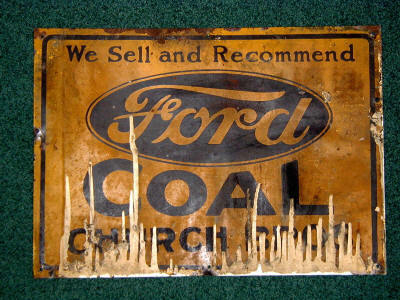 It is from the Church Bros. Ford dealership, which was run from the Elevator in the mid teens.